The majority of dishonesty in life is perpetrated by a large number of individuals who believe they are acting honestly but are actually engaging in morally ambiguous behaviours and using rationalisation to make themselves feel OK about their actions. The Court was set up to help people grapple with these issues. 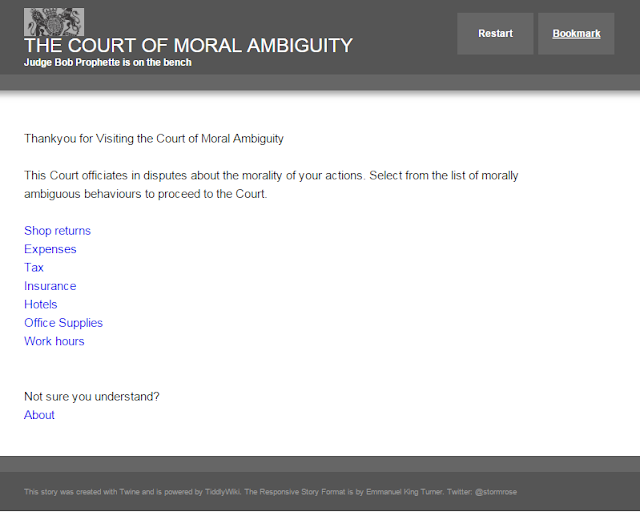 It provides facts and figures about various morally ambiguous practices to help you form a judgement about whether you have stepped over the line or not. If after looking at this evidence you are still unsure, you can submit your case for adjudication by Judge Bob Prophette. So take a look around and remember honesty is not always the best policy.